In 1977, the popular television show The Love Boat debuted, and it captured the hearts of millions of viewers over its decade-long run. Even to this day, you can catch reruns of the beloved show on television. Featuring actors like Gavin MacLeod, Lauren Tewes and Bernie Kopell, The Love Boat took place on a ship called the Pacific Princess. 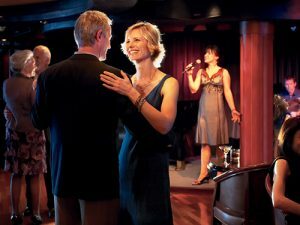 Romance was in the air on The Love Boat, and it still is today onboard each of the exciting Princess Cruises. As the company celebrates its 50th anniversary, it is the perfect time to enjoy a cruise vacation with someone special. Twelve years before The Love Boat aired on television, the very first Princess Cruise departed to Mexico. By 1969, Princess Cruises had acquired three different ships and had set sail to destinations like the Panama Canal and even Alaska. Throughout the 1970s, additional ships were acquired and the popularity of cruise vacations grew steadily, thanks no doubt in part to the success of the show. 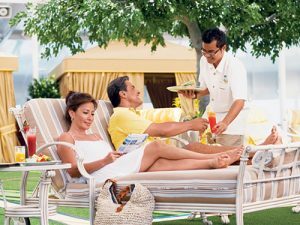 Over the years, royal dignitaries and celebrities including Princess Diana, Sophia Loren and Margaret Thatcher have all christened new Princess ships, and the range of onboard amenities and destinations continued to grow. 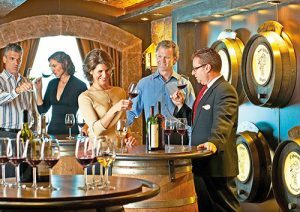 To mark 50 years of success on Princess Cruises, 2015 boasts a number of commemorative events, menus and more on each of the cruises throughout the year. In the main dining room, order from the 50th anniversary menu, which features specialty items from major decades represented by the Love Boat. You’ll love the retro feel of 1960s-era duck terrine with apricots and the bold flavors of the 1980s-inspired Ossobuco Agnolotti with crispy sage. You can also participate in the 50th anniversary trivia game held onboard or dance the night away on a Love Boat Disco Deck Party. Some sailings even offer themed dance nights where music from varying decades gets you on the dance floor boogieing to hits from the Beatles and more thanks to live tribute bands. The Love Boat may have been fictional, but plenty of real life romance has been sparked on cruises around the world. Princess Cruises are the perfect way to let someone special know how much they mean to you, and they are a top choice for couples about to get engaged, enjoying an unforgettable honeymoon or just celebrating lasting love on an anniversary. Every night is date night thanks to incredible onboard dining, and whether you want to spend time with your loved one drinking, dancing or watching spectacular shows, it is all possible on Princess Cruises. Plus, nearly every day you’ll be able to enjoy a new destination and the chance for new memories in paradise. 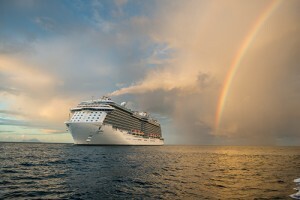 When it is romance that you’re after, nothing is better than a vacation on a Princess Cruise. The Love Boat may have popularized cruising vacations more than 35 years ago, but love is still in the air as you set sail on the 50th anniversary of Princess Cruises. Find out more about why so many successful travel agents work with Travel Planners International. Would like all information and pricing. Hi Cynthia! If you go to either the Experienced Agents tab or the New Agents tab depending, you can view pricing and fill out a form to contact us for more information. You can also contact us through the contact page either by phone, chat or message. Once our Account Sales Team is in touch with you, they are happy to answer all the details you need in order to consider our agency.